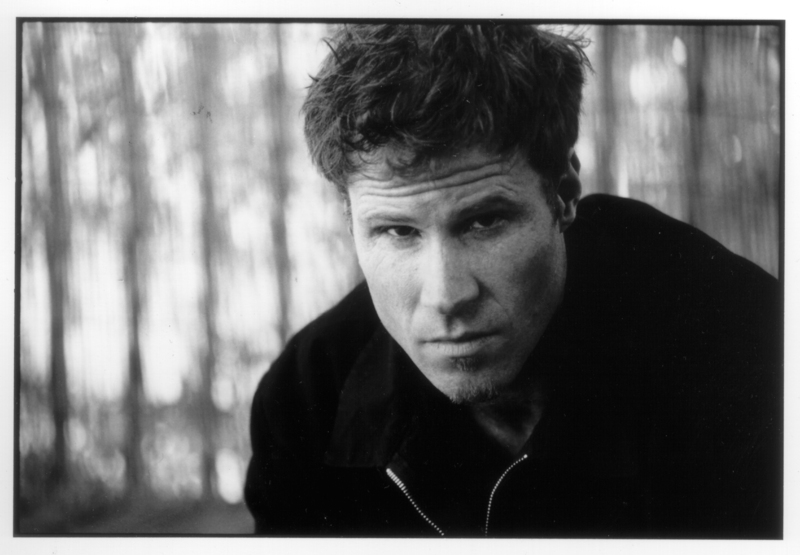 Mark Lanegan – his music, his voice, the whole bit – is one of my favourites. Dying Days is my Freebird, only better and shorter. I’ve written about him a couple of times before here, but I saw him live at Shepherd’s Bush last night, so you’re going to hear about him again, I’m afraid. I wasn’t sure what to expect. I’ve seen him headlining before (at the Astoria, in maybe 2001) and he was in spectacularly grumpy form that night. His set was barely an hour long, there was no encore. He sang well, but seemed bored. Last night, arriving late with Mel and finding the place rammed, I was worried that maybe the lack of attention being paid to his chosen support act – his friend and collaborator Duke Garwood – would set him off, and it’d be the Astoria show again. 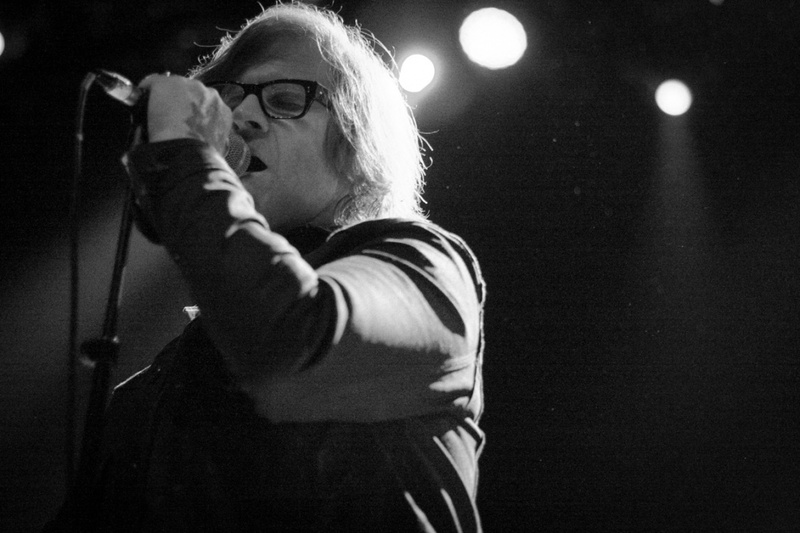 Instead Lanegan played an extensive, expansive, generously proportioned set that ranged widely through his solo career. It leaned heavily on his two most recent albums of original material – 2012’s Blues Funeral and 2014’s Phantom Radio – but contained highlights from as far back as Whiskey for the Holy Ghost (1994) and three killer tracks from his 2001 mid-career highpoint Field Songs. I’ve said before that Lanegan’s acoustic records are my favourites, as they are the ones that give his voice most space to shine, showing off the rough grain of his knotted baritone and the ease with which he can still move up into his tenor range. So Dead on You, Low, One Way Street and Resurrection Song were probably my favourites from last night (Mel liked One Way Street the most). But there were other highlights: a clattering Gravedigger’s Song, startling in its volume and punch after an opening run where Lanegan sang with just one clean electric guitar for accompaniment; Hit the City, which I never liked much in its recorded form, but which Lanegan tore to shreds last night; Harvest Home and Torn Red Heart from the new album. His band acquitted themselves well on every song, the drummer especially across a set that require everything from jazzy brushed snare to sample-augmented disco, and the sound was adequate, with the vocal plainly audible throughout. I’d love to see him play with an acoustic band at a small sit-down gig (the gothic-revival Union Chapel would seem an appropriate venue), and if he could find it within himself to do something from The Winding Sheet (Mockingbirds, please! ), that would probably be my ideal Lanegan gig at this point. But in terms of playing a career-spanning set with an electric band in a biggish theatre show, with all the possible acoustical gremlins that entails, last night’s show was just about perfect. This entry was posted in Music and tagged Astoria, Blues Funeral, brushed snare, Dead on You, Disco, Duke Garwood, Dust, Dying Days, Field Songs, Freebird, gig, Gravedigger's Song, grunge, Harvest Home, hiskey for the Holy Ghost, Hit the City, jazz, live review, London, Low, Mark Lanegan, Mockingbirds, One Way Street, Phantom Radio, Resurrection Song, Screaming Trees, Shepherd's Bush Empire, The Winding Sheet, Torn Red Heart, Union Chapel on January 29, 2015 by rossjpalmer.